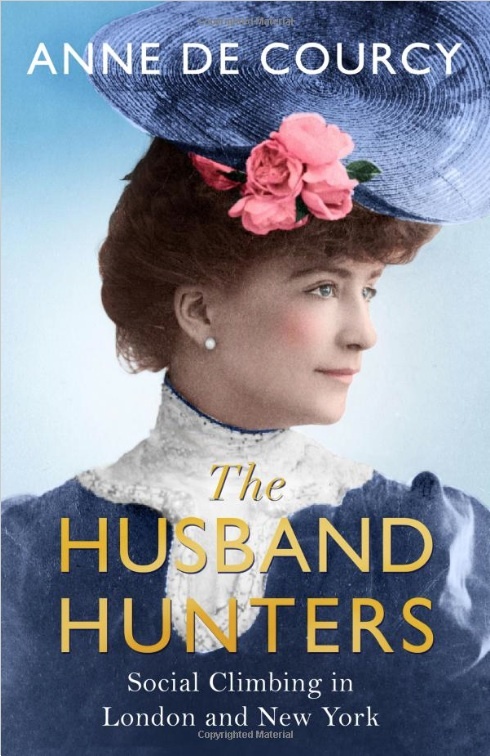 Anne has just brought out her next book, The Husband-Hunters: Social Climbing in London and New York, which is published by Weidenfeld & Nicolson. It will be published in America in the late spring of 2018. Towards the end of the nineteenth century and for the first years of the twentieth, a strange invasion took place in Britain. The citadel of power, privilege and breeding in which the titled, land-owning governing class had barricaded itself for so long was breached. The incomers were a group of young women who, fifty years earlier, would have been looked on as the alien denizens of another world – the New World, to be precise. From 1874 – the year that Jennie Jerome, the first known ‘Dollar Princess”, married Randolph Churchill – to 1914, a hundred young American heiresses married into the British aristocracy, bringing with them all the fabulous wealth, glamour and sophistication of the Gilded Age. But why did so many of them troop across the Atlantic when there were plenty of good-looking and much wealthier young men in America? Anne de Courcy sets the motives and attitudes of these young women and their families in the social context of their times, revealing that the real story behind husband-hunting in Europe was much more than simply a case of cash for titles. Based on extensive first-hand research, drawing on diaries, memoirs and letters, this richly entertaining group biography reveals what they thought of their new lives in England – and what England thought of them.